Well maintained 2 bedroom, 1 bath home with an open floor plan. This home could easily be added onto for more space or bedrooms. A large mud room attaches the home to the oversized 30x40x12 garage, which is every mans dream. 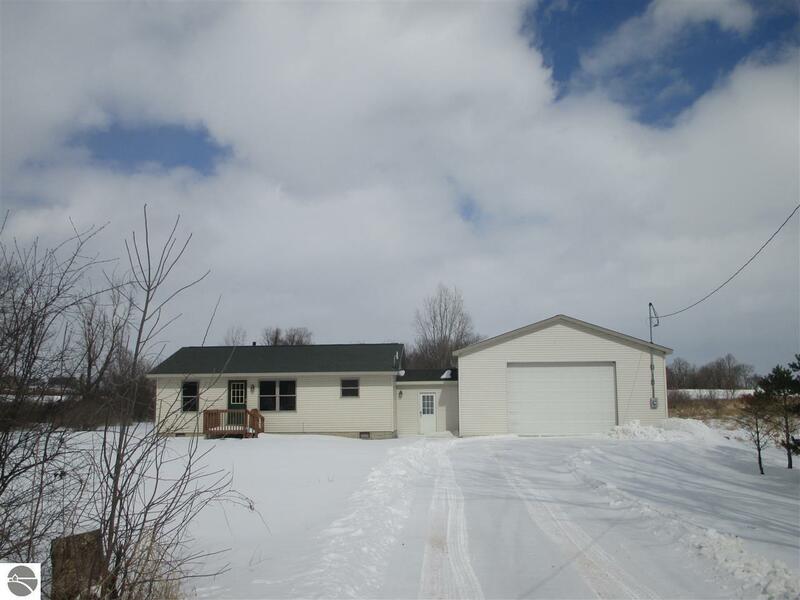 Property consists of 10 acres and another 24x24 pole barn out back.